Find the high and low volume areas that point to future support and resistance. This will show high probability levels of interest. 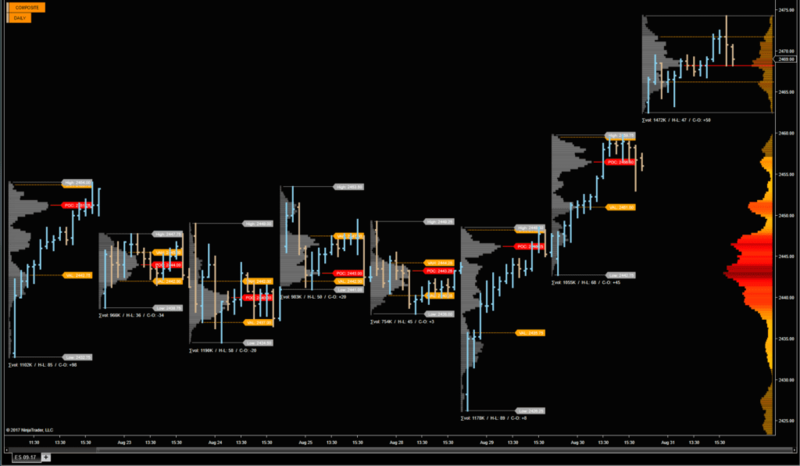 MarketProfile can be used in the charting platform NinjaTrader 8 [FREE]. 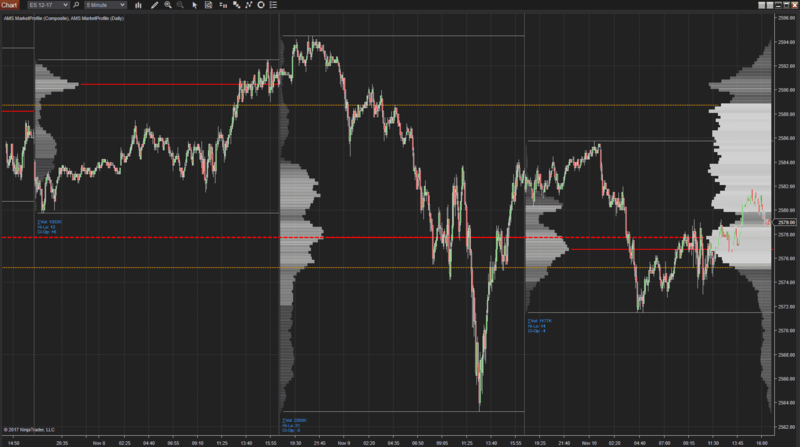 Volume profile: The profile is based on volume distribution by price. For example, a volume profile row of 100 means that there have been 100 contracts traded at that price. Recommended for instruments with true volumes, such as futures and stocks. TPO profile: The profile is based on TPO distribution by price. TPO stands for “time price opportunity”, but we removed the time element to maximally simplify it for everyone to understand: a TPO is now just a “hit” of the market at a price. For example, a TPO profile row of 100 means that the market has traded at that price 100 times. Recommended for instruments without true volumes, such as forex.